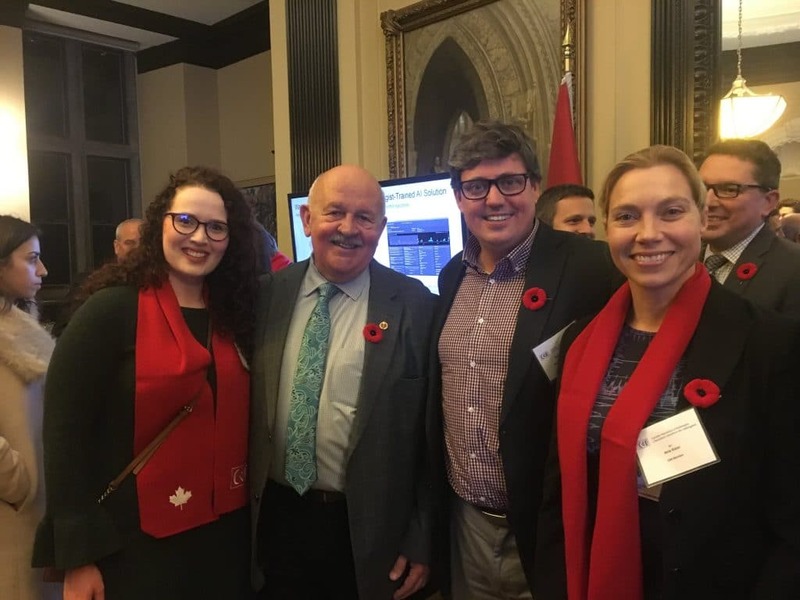 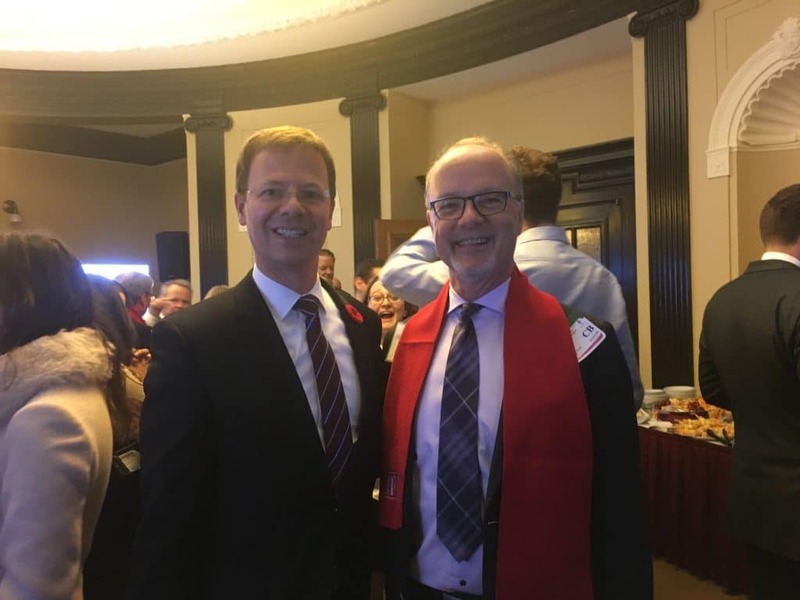 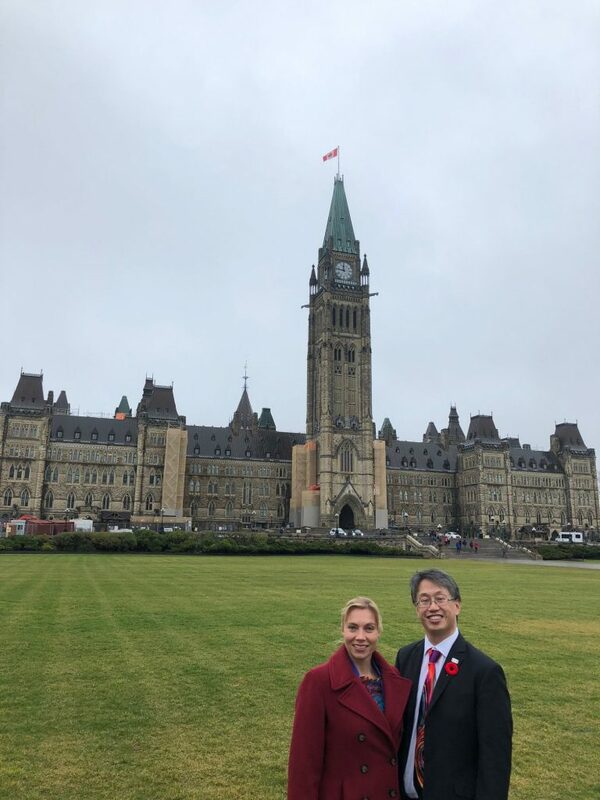 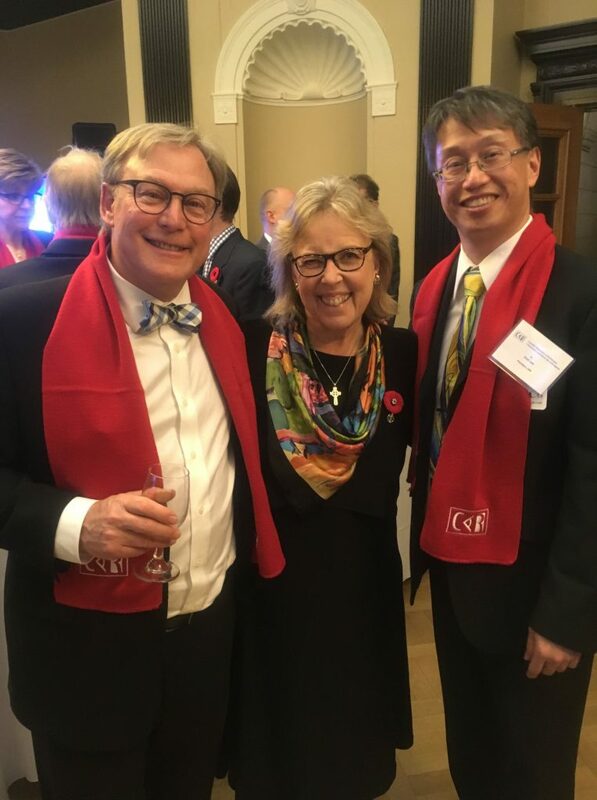 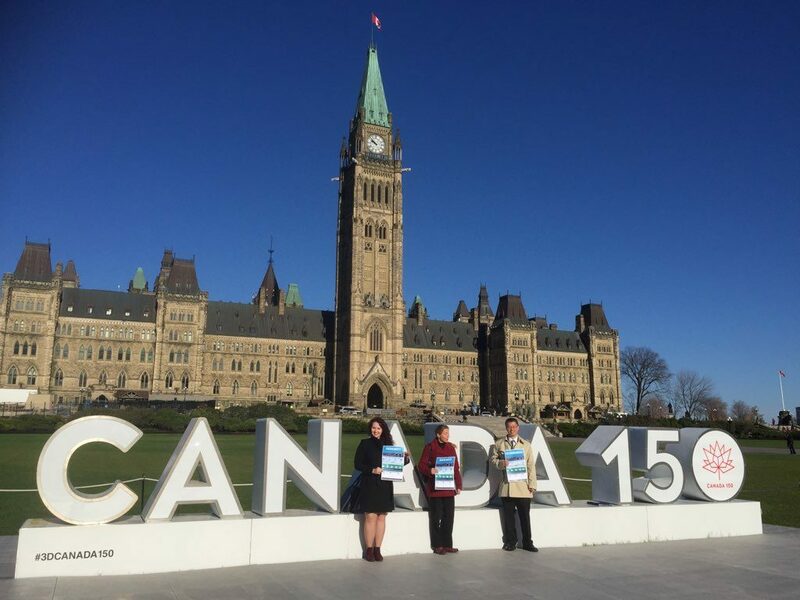 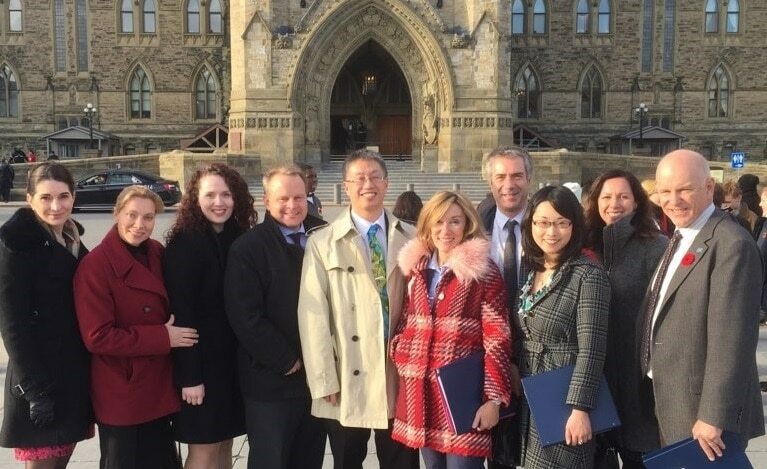 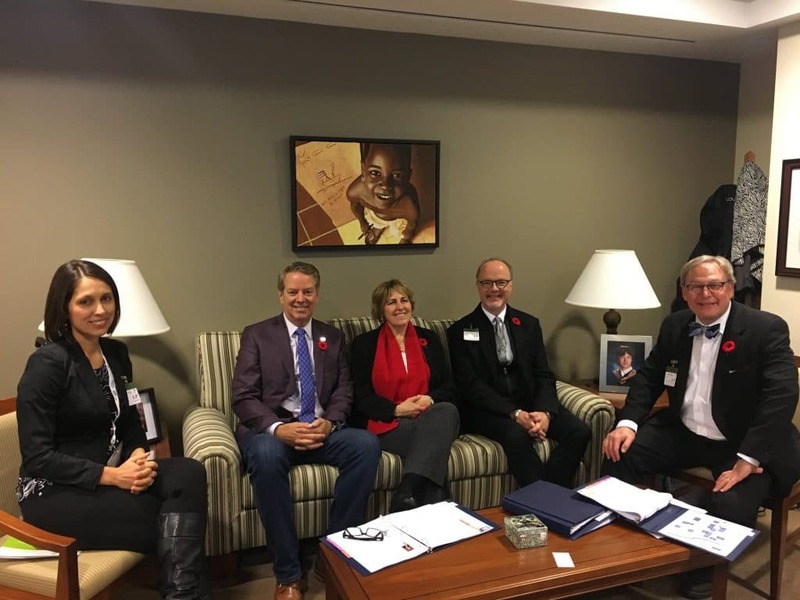 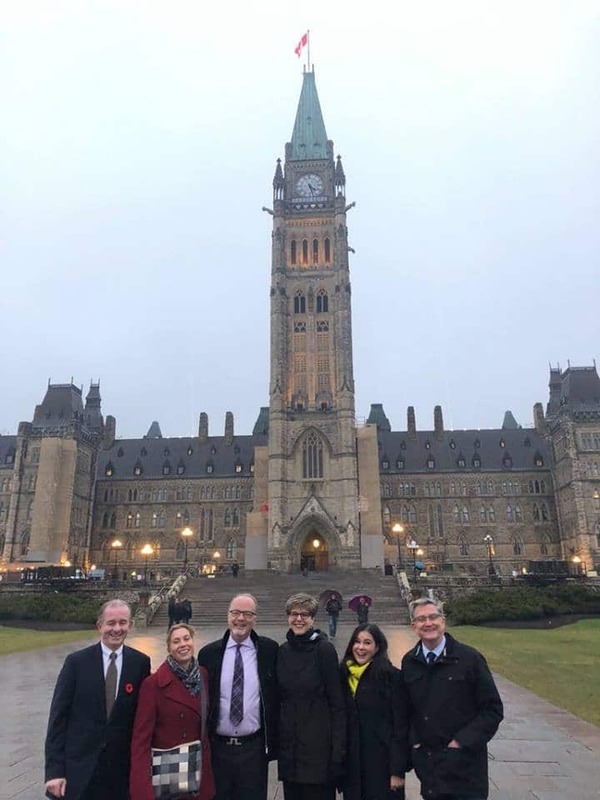 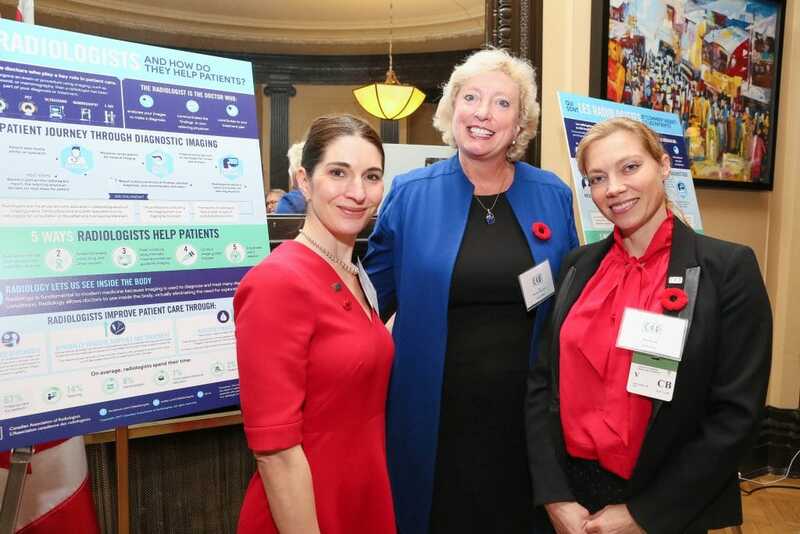 On November 5-6, 2018, members of the CAR were on Parliament Hill to celebrate International Day of Radiology and pay tribute to the work being done by their colleagues across Canada. 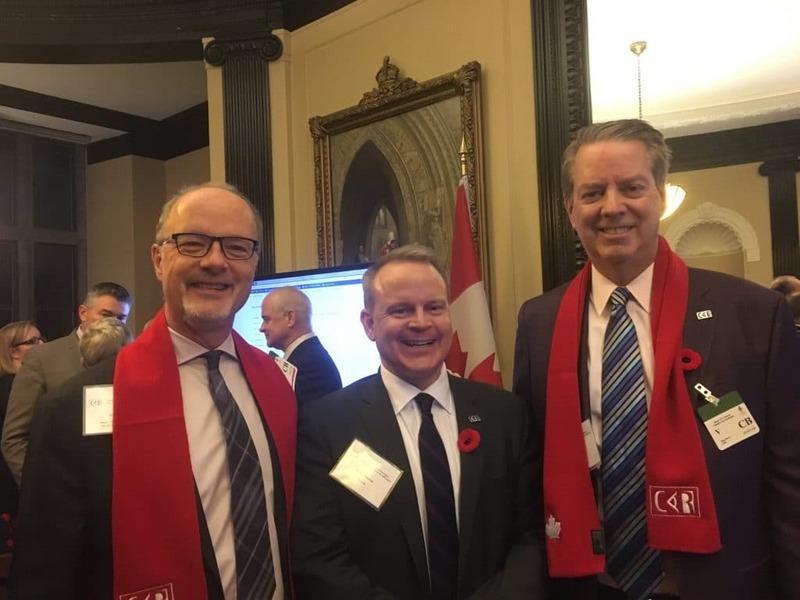 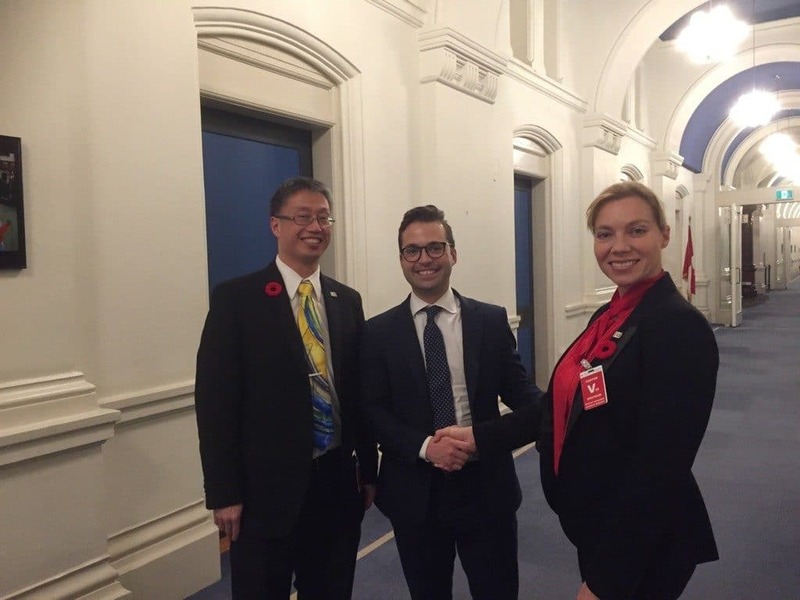 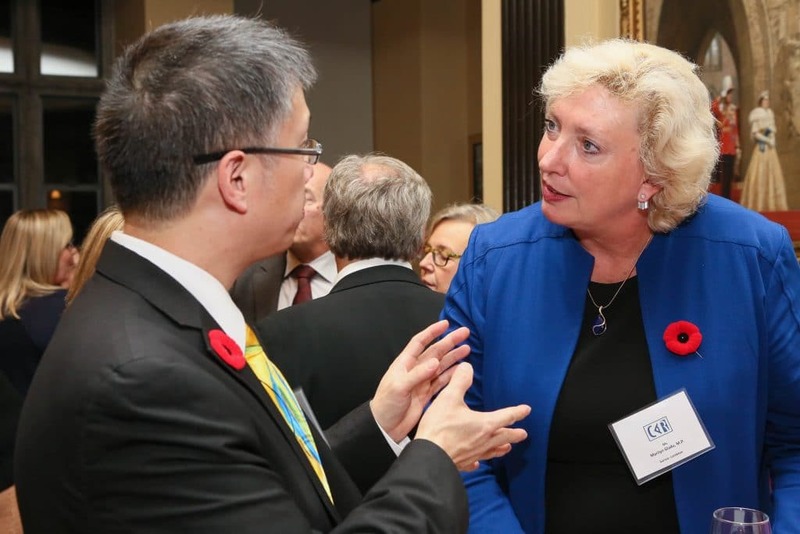 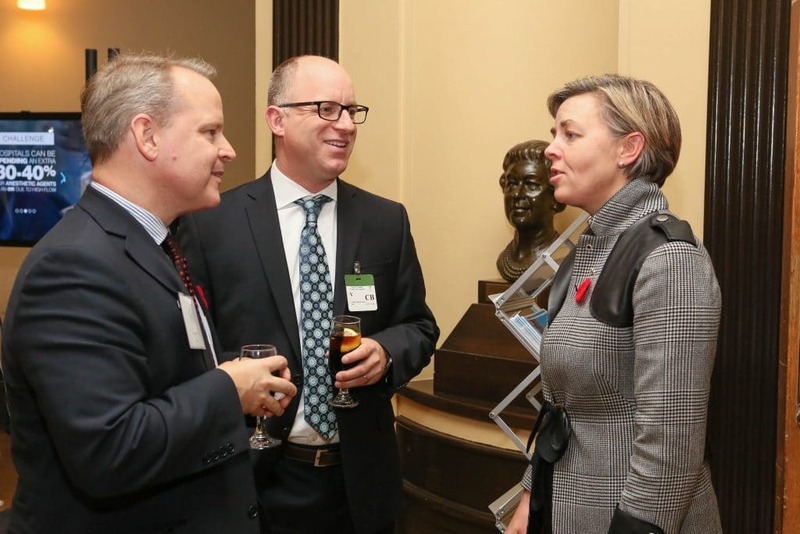 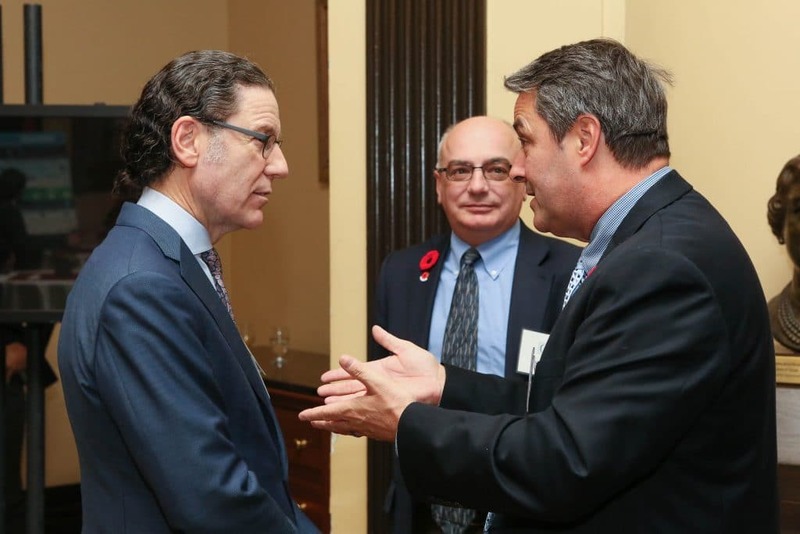 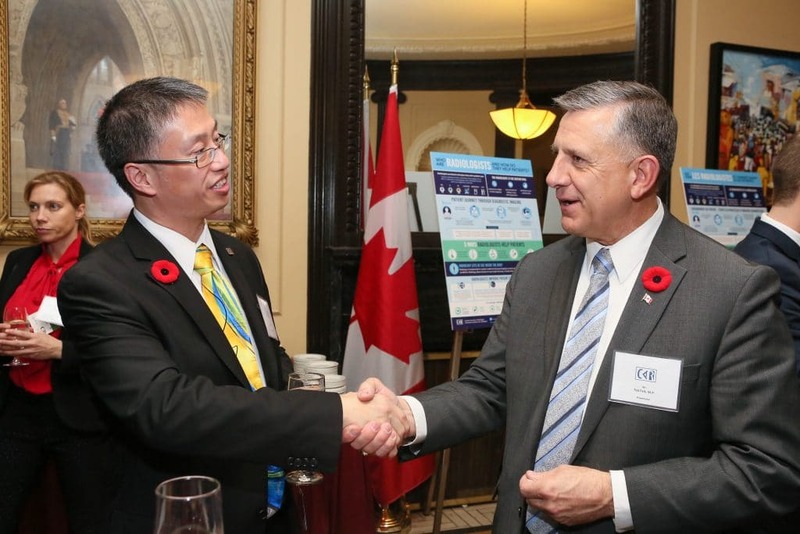 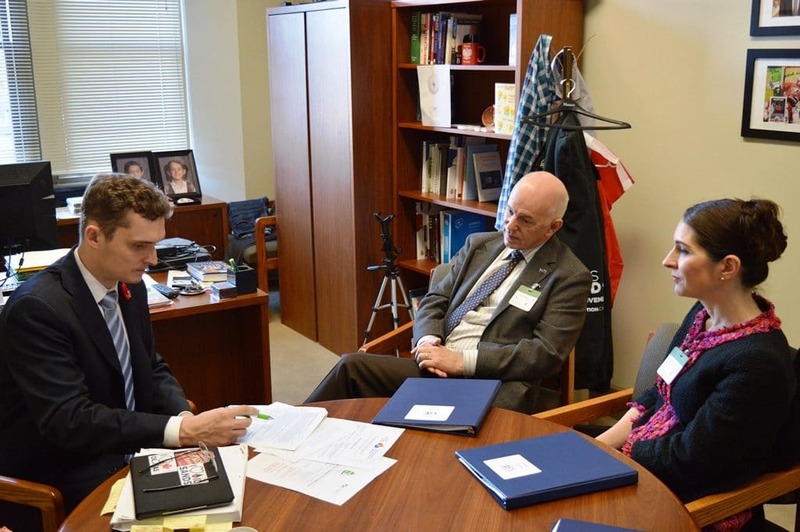 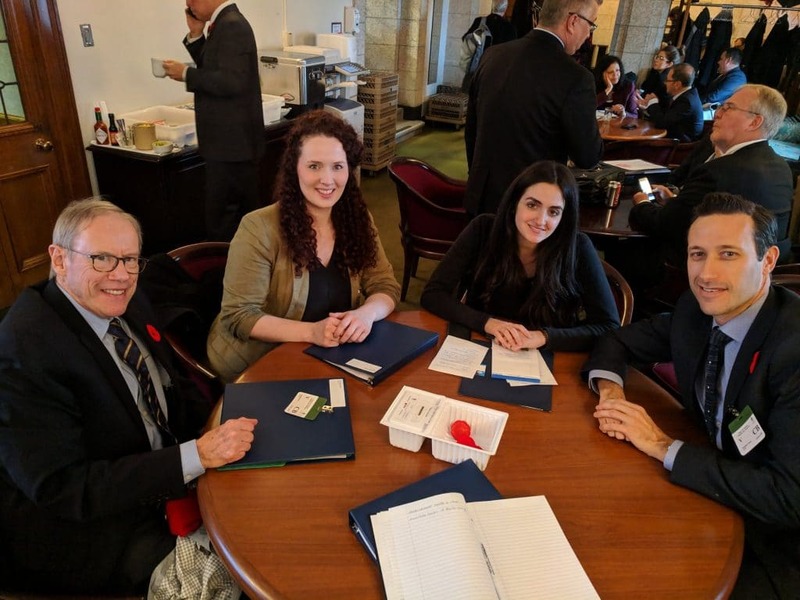 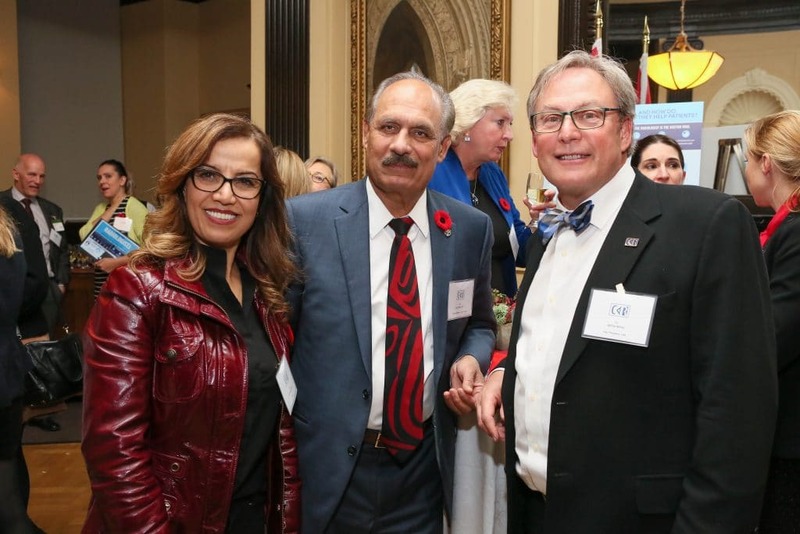 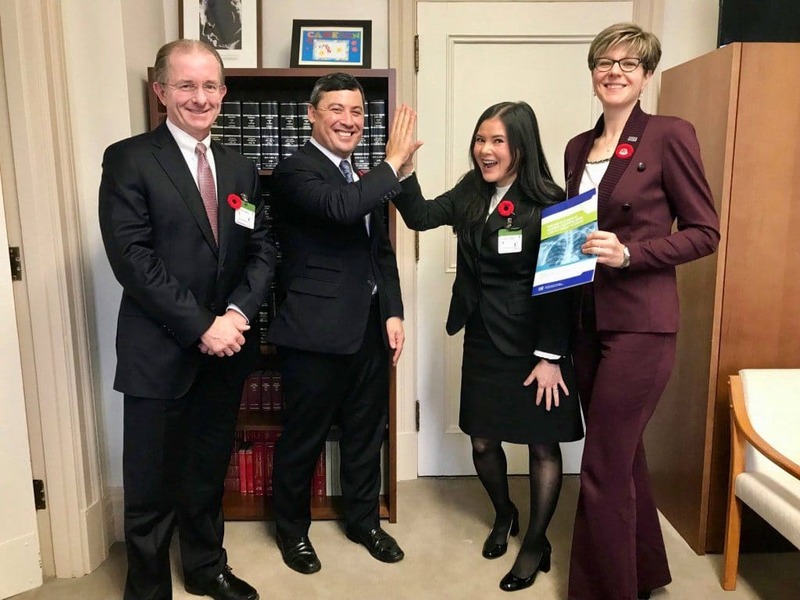 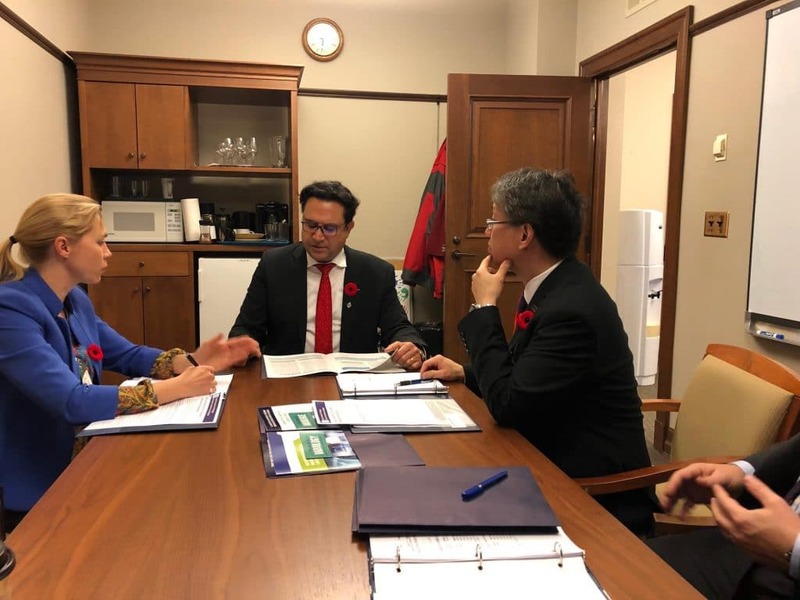 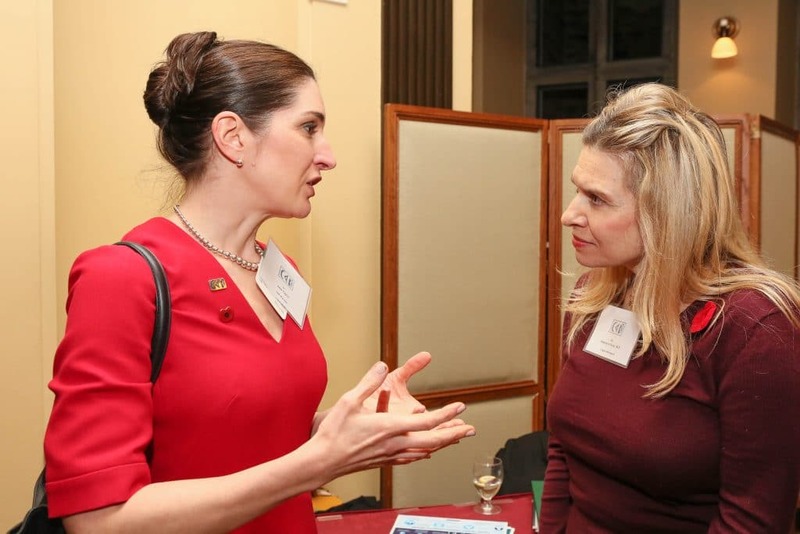 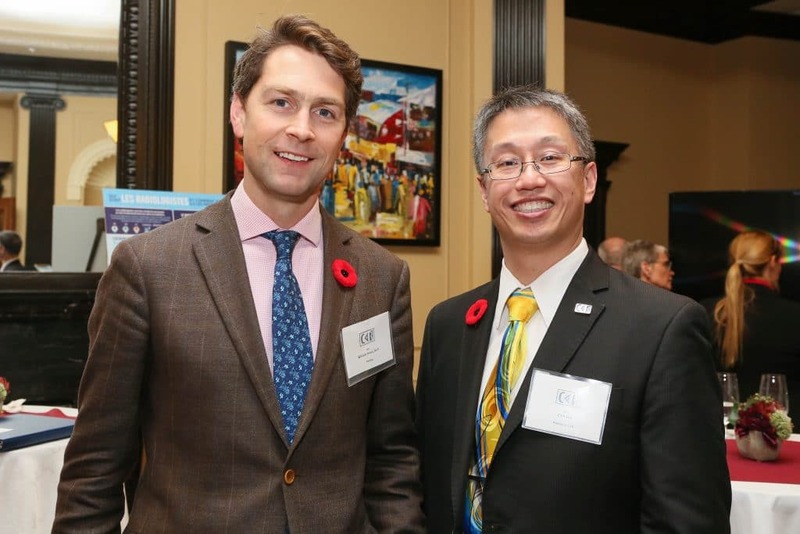 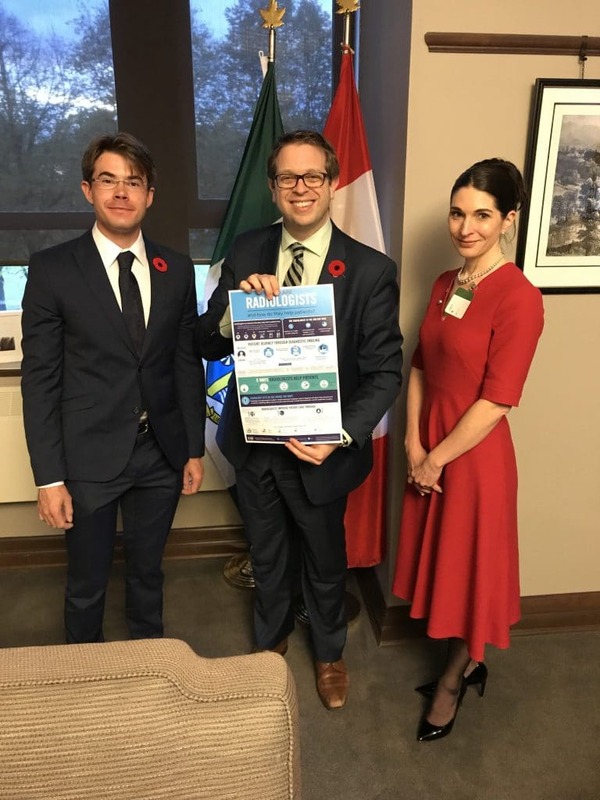 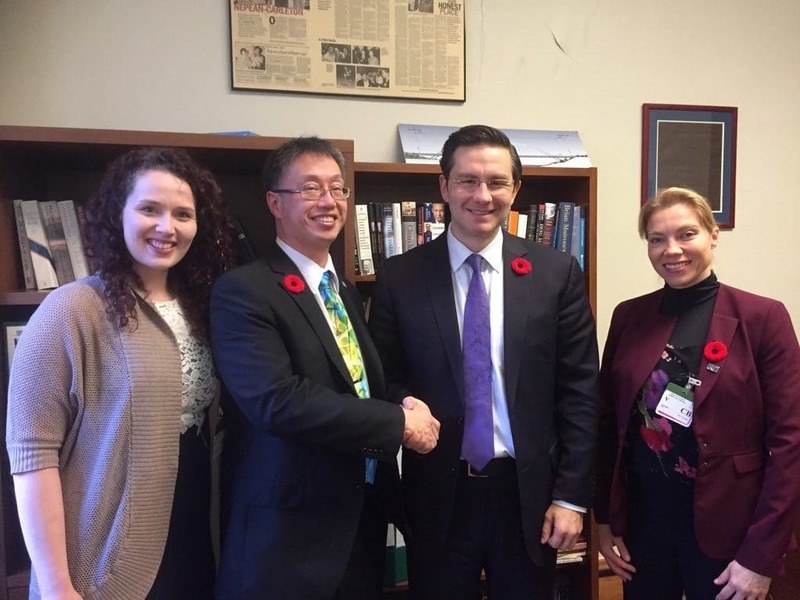 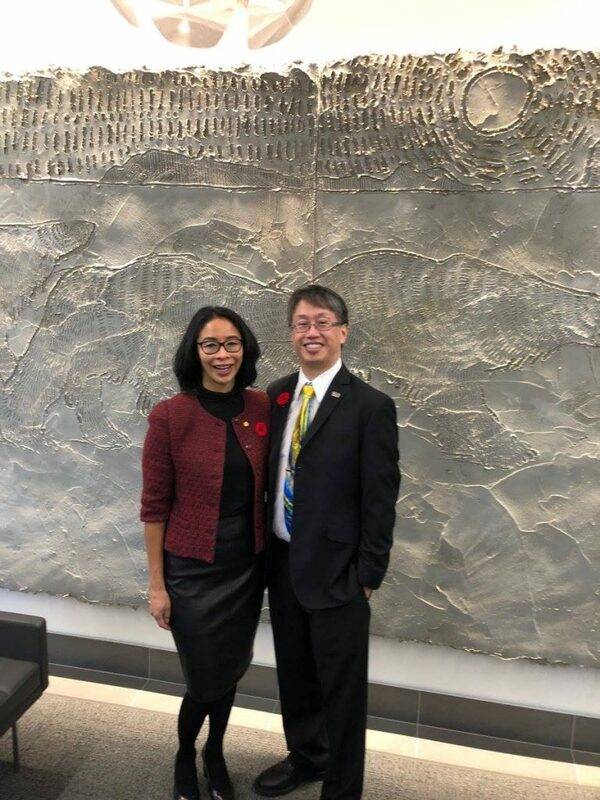 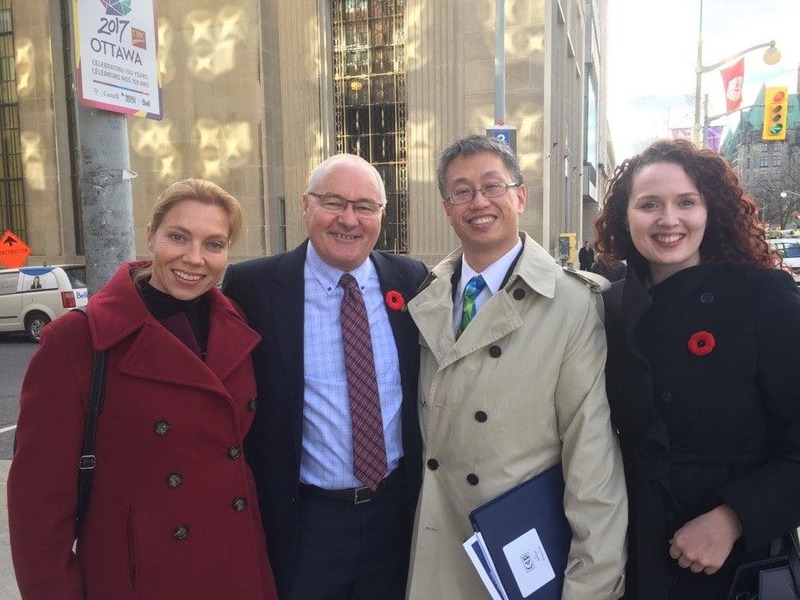 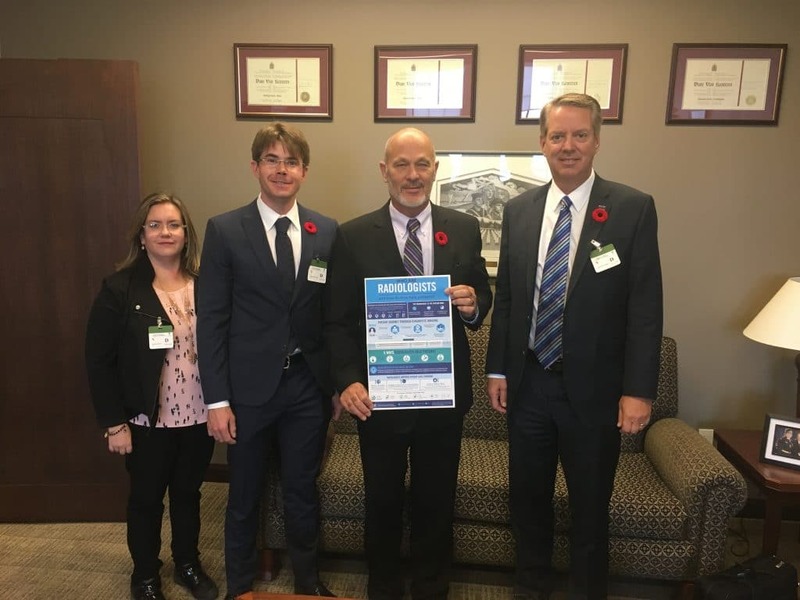 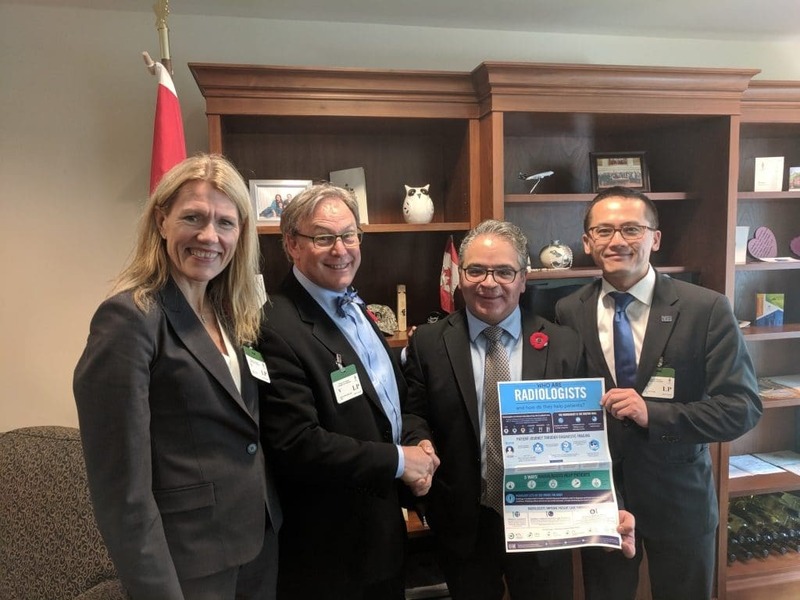 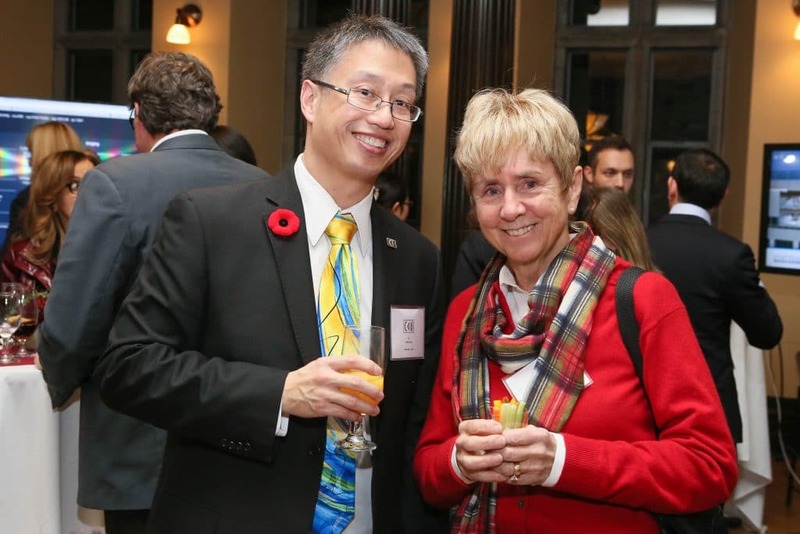 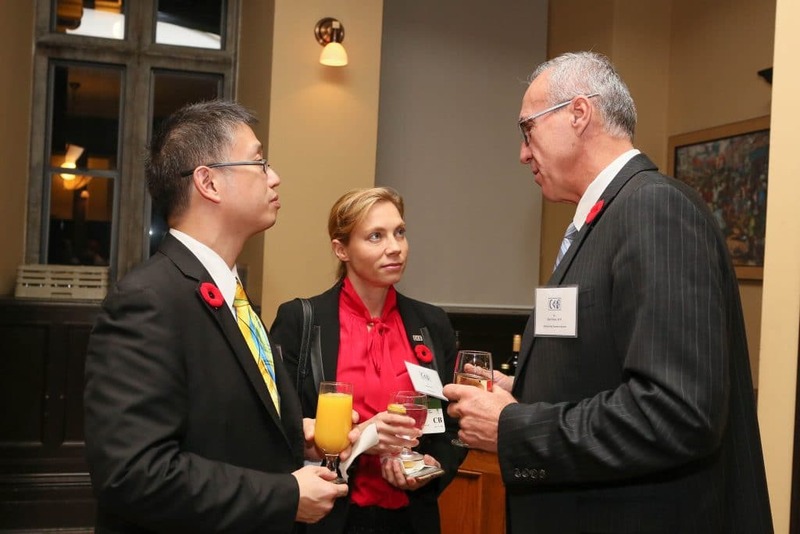 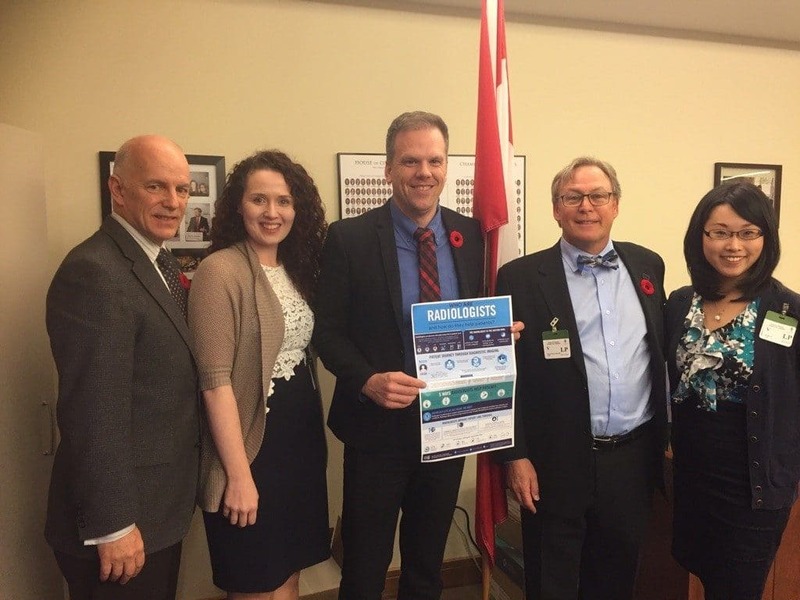 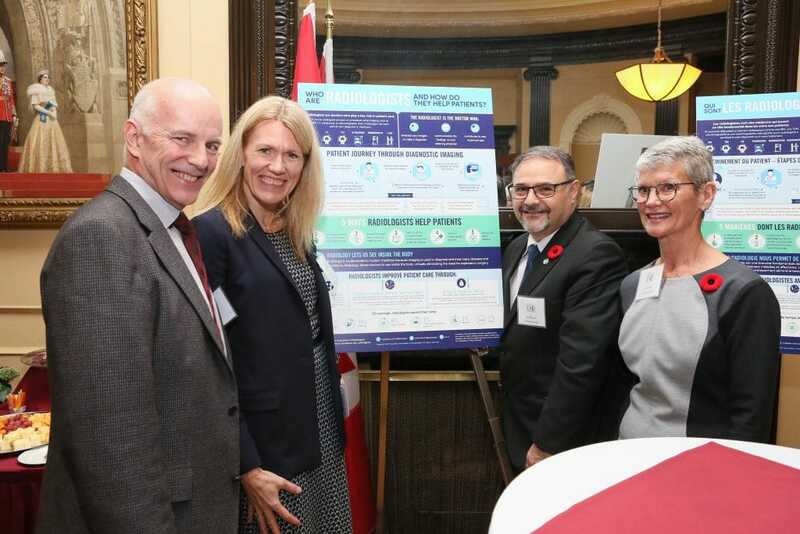 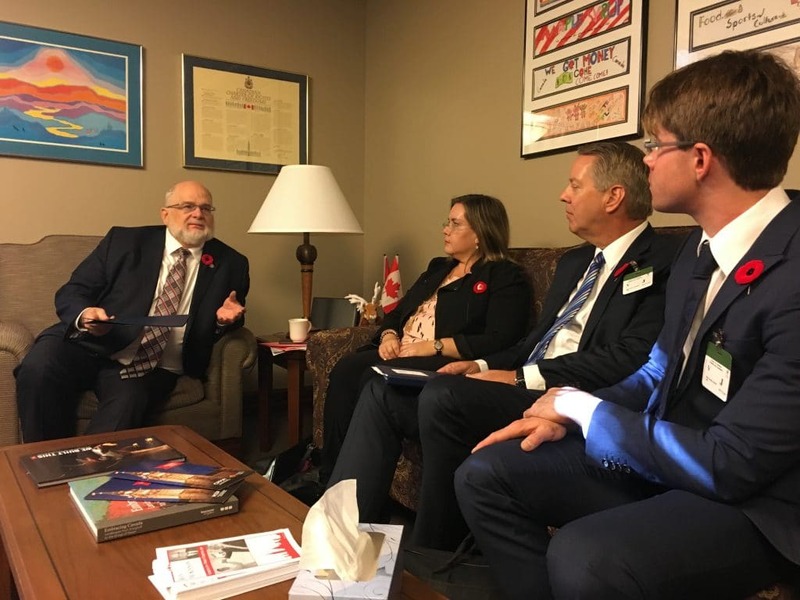 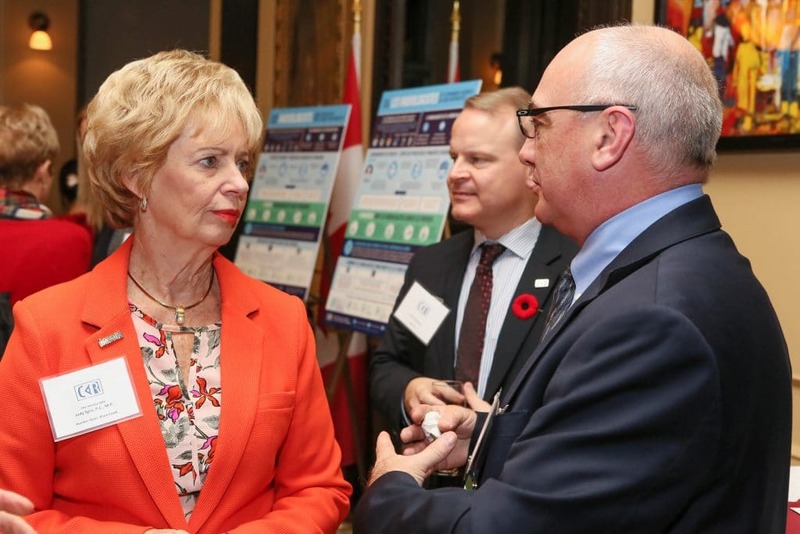 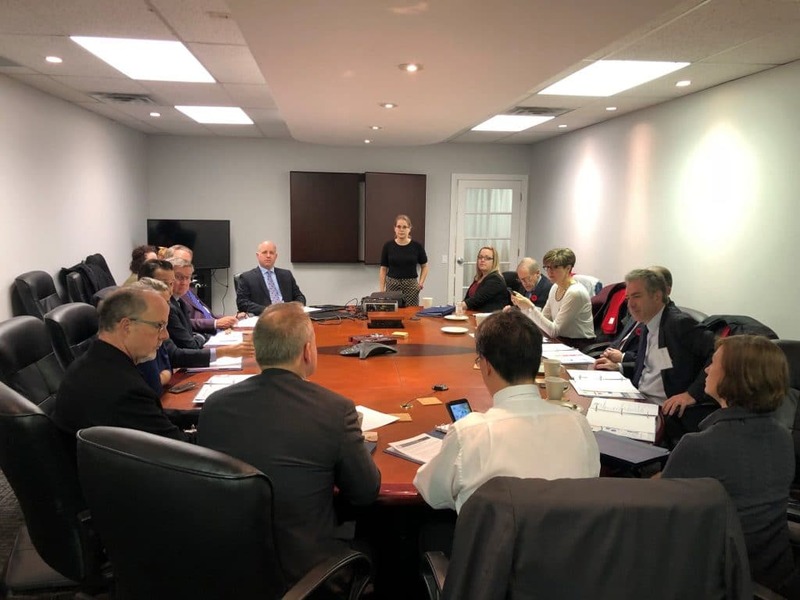 This year, building upon the success of the last year's CAR Day on the Hill, the event has grown to encompass two days of advocacy and awareness-raising about the value of radiology and the importance of imaging for patient care. 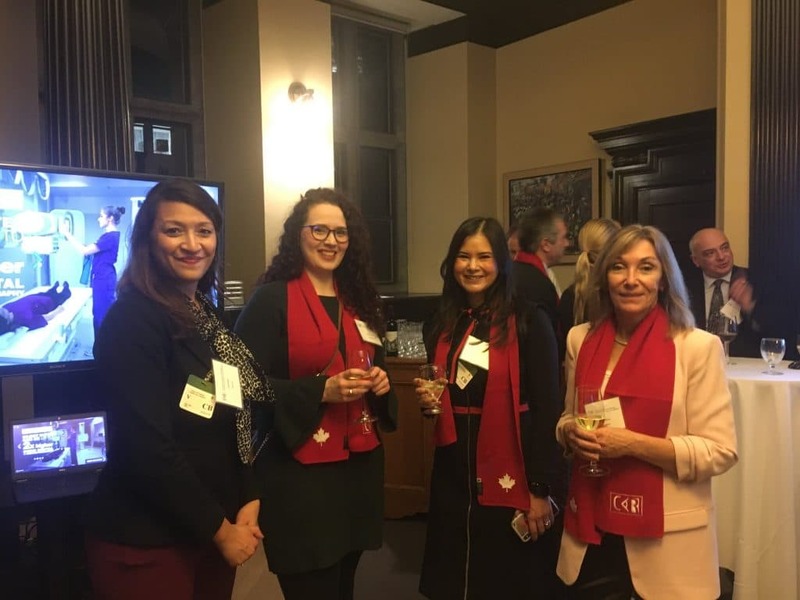 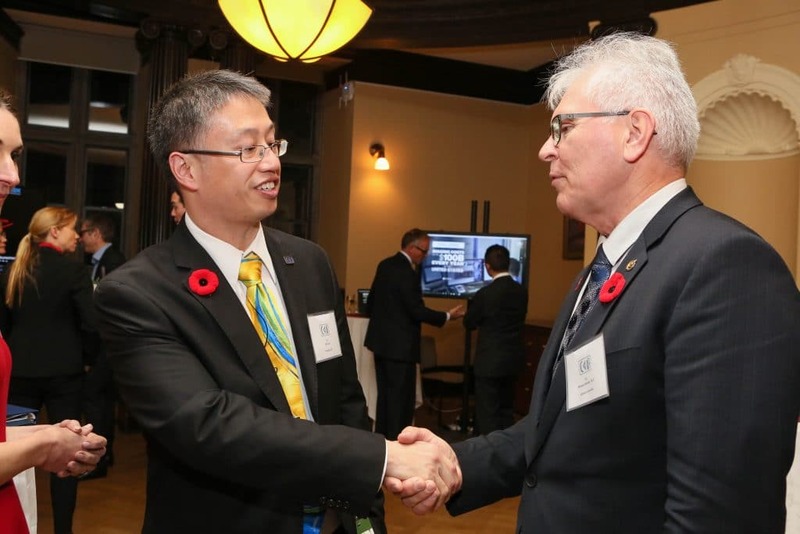 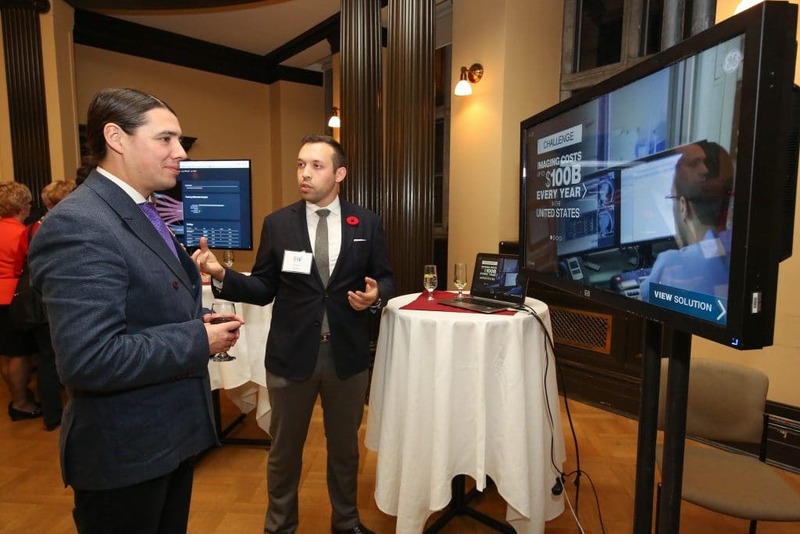 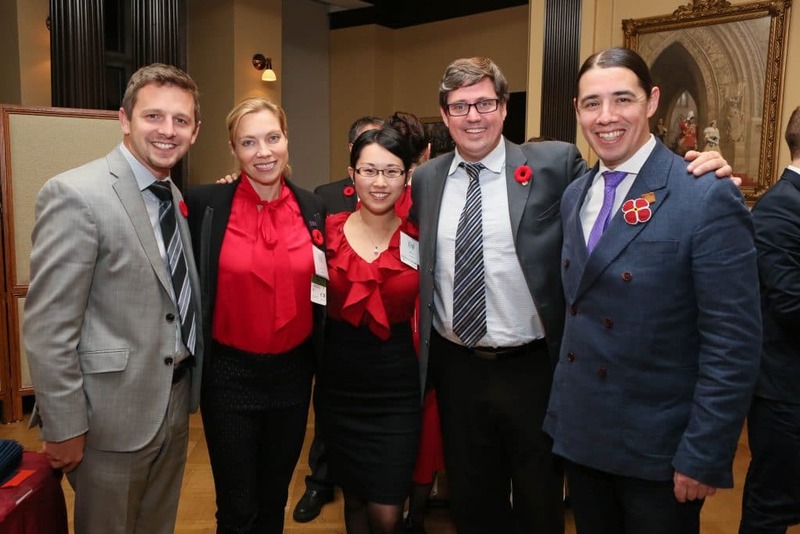 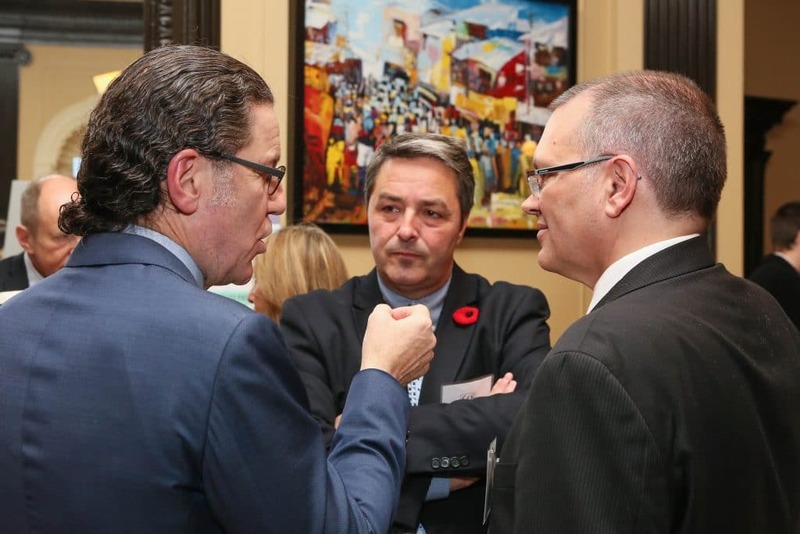 The event kicked off with an evening reception in the Centre Block of Parliament Hill. 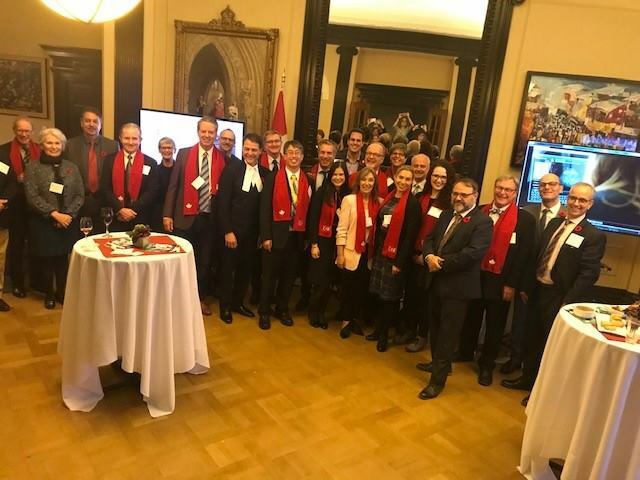 Over 50 MPs and Senators attended the CAR's reception highlighting the value of radiology and our pre-budget submission. 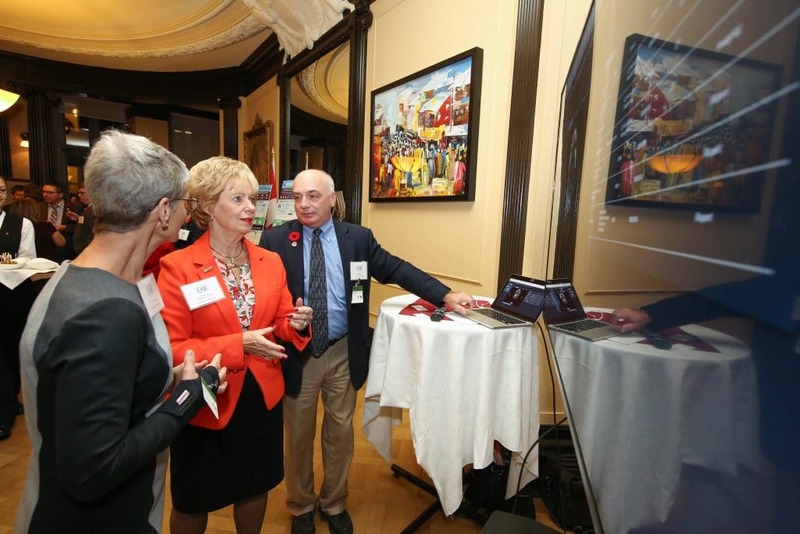 The reception focused on artificial intelligence, the eradication of TB in Northern communities and funding for medical imaging equipment. 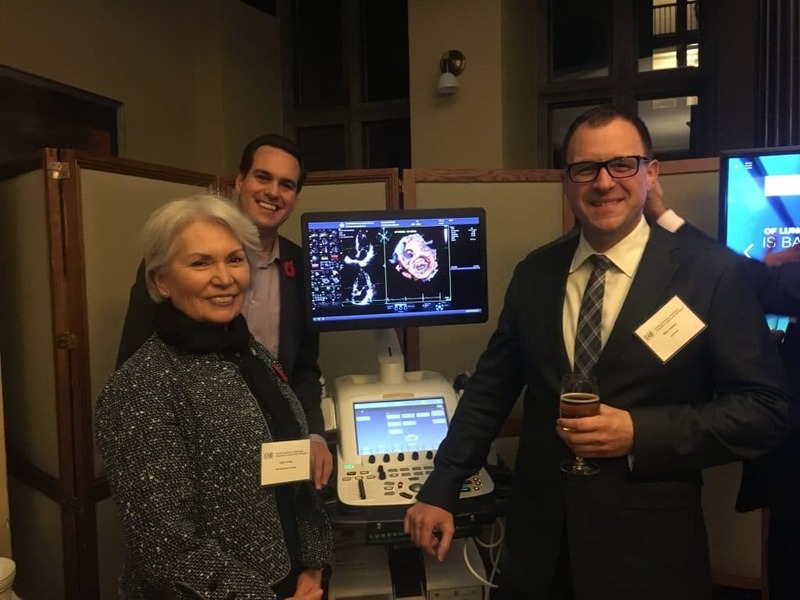 This year, the CAR delegates were joined by representatives from IBM Watson Health Imaging, GE Healthcare and Bracco, who provided demos of the AI tools currently being developed for use by radiologists. 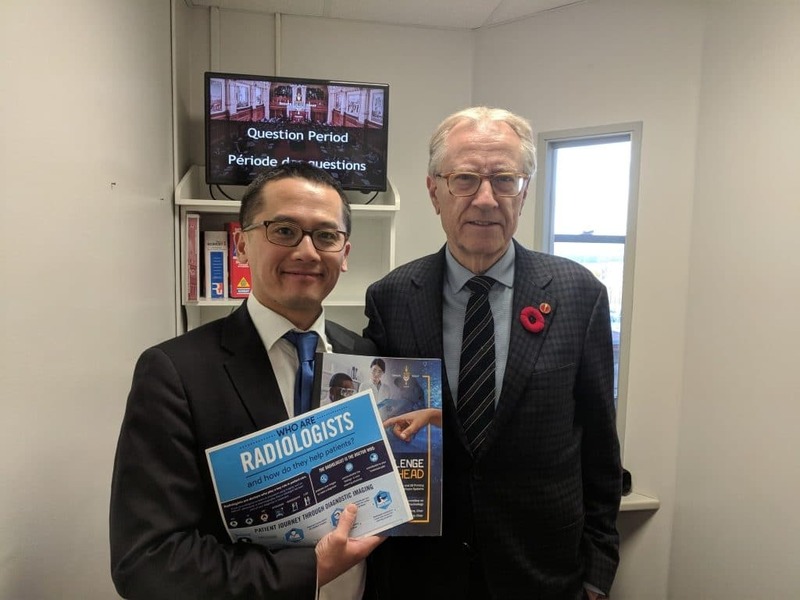 We were also pleased to debut our Value of Radiology brochure, which presents simplified and distilled explanations of what a radiologist does and their value in the healthcare system. 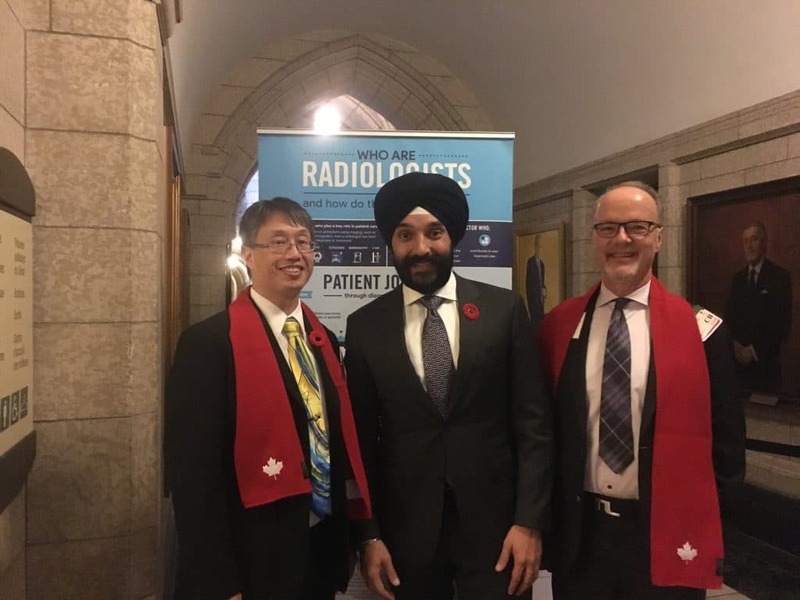 The brochure was the centrepiece of the reception and will be used as a teaching tool and promotional piece for our outreach to members of Parliament and the general public, as the CAR strives to increase awareness about the pivotal role of radiologists. 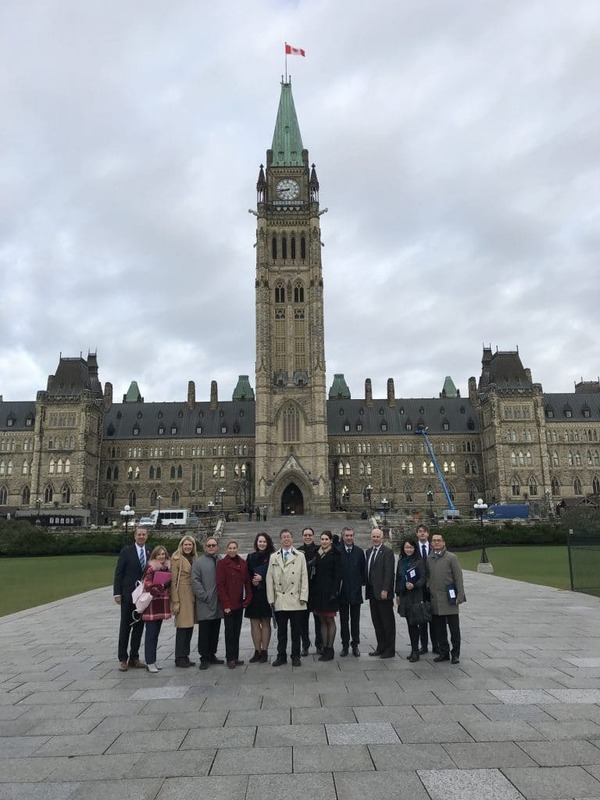 Following the reception, CAR delegates participated in a day of one-on-one meetings with ministers, MPs, senators and senior staffers. 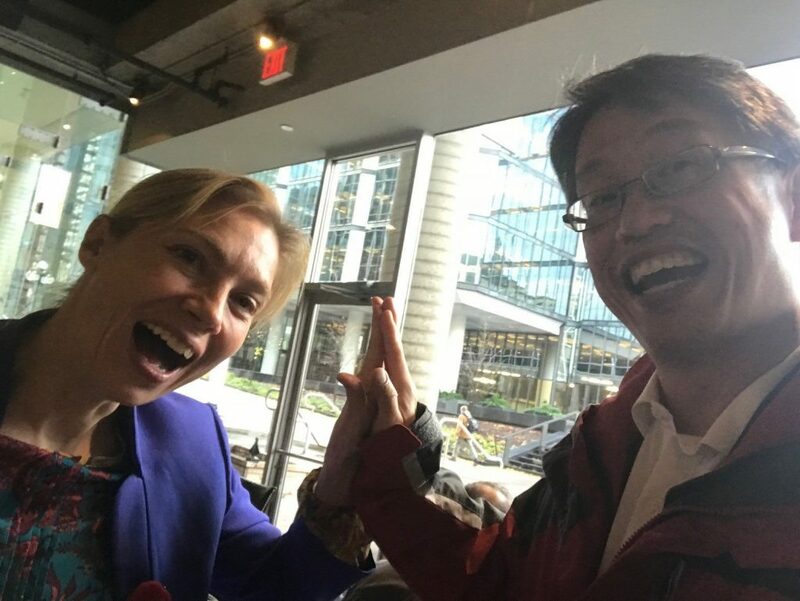 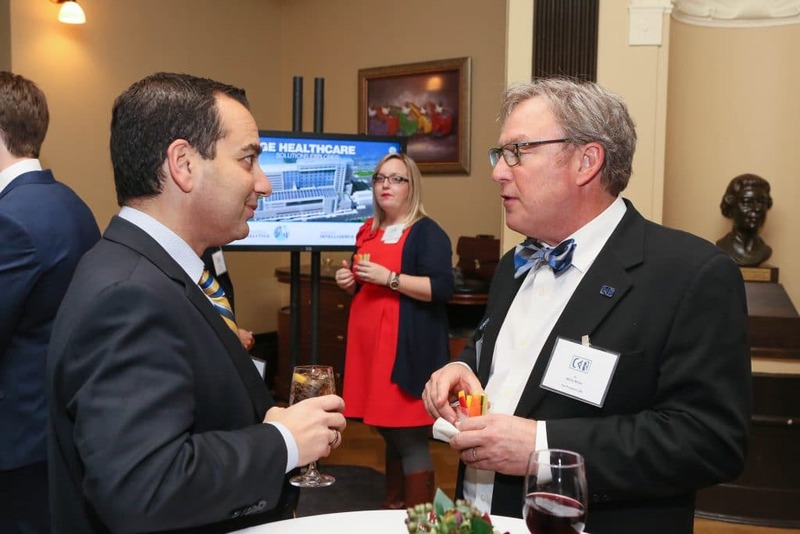 In every case, these meetings demonstrated and strengthened the CAR's commitment to advancing the perspectives and priorities of radiologists in the national conversation about health care. 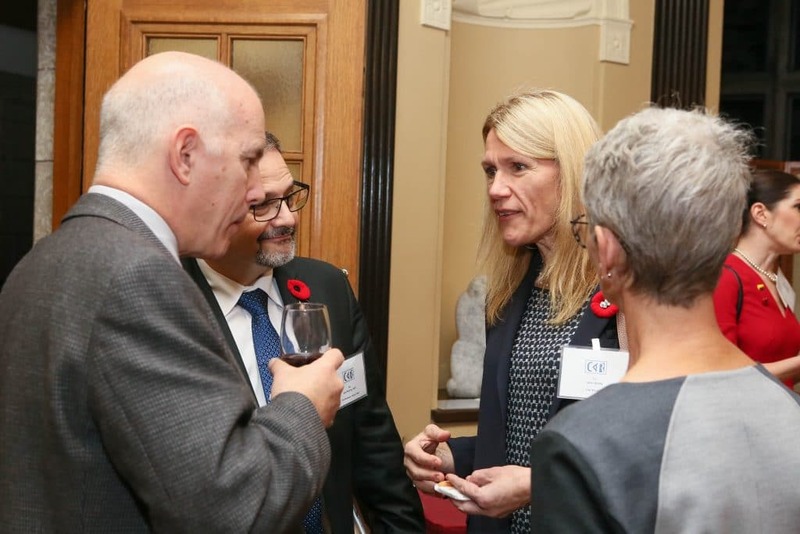 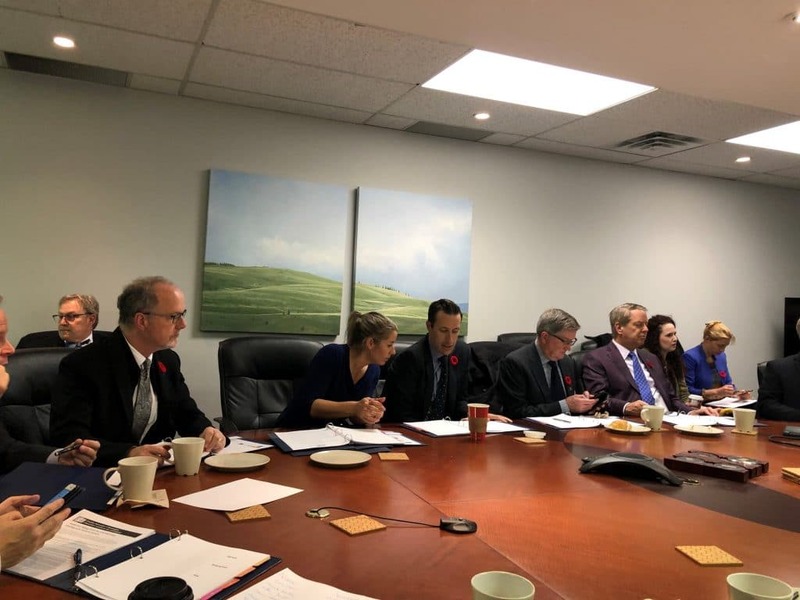 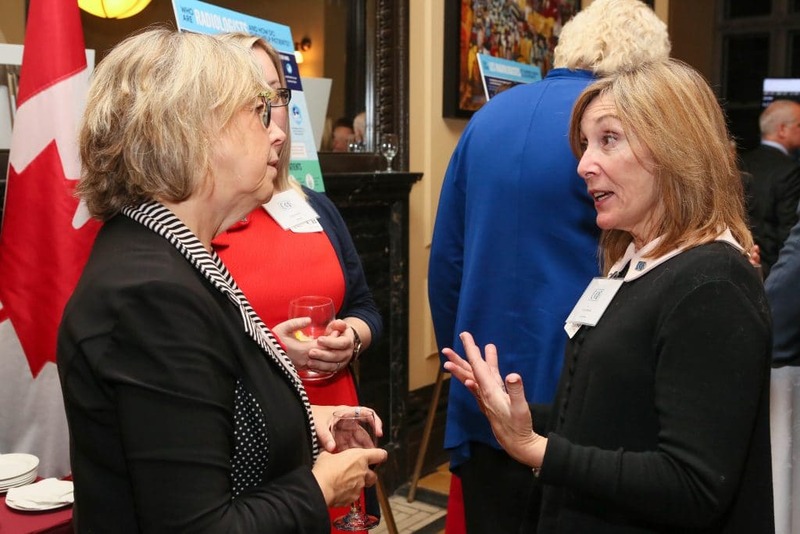 Our conversations with MPs and their staff built upon the success of our Board at the end of September, when we had our most recent board meeting. 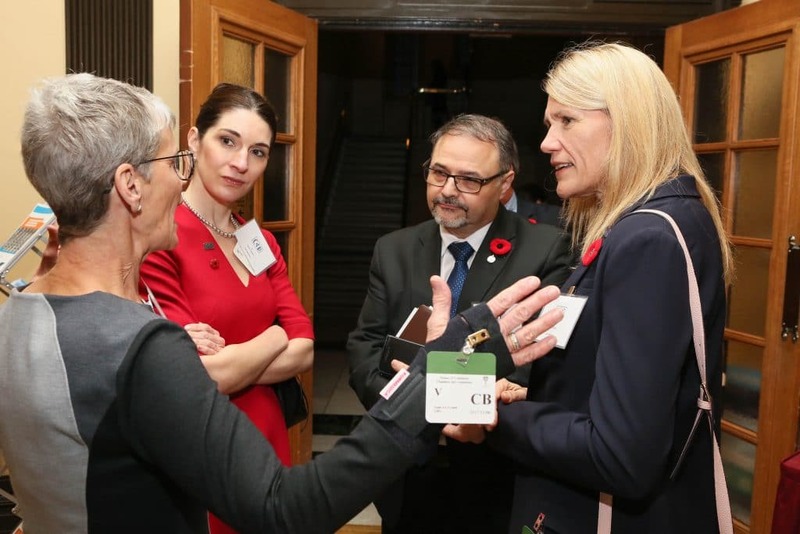 Namely, that the government would invest in medical imaging equipment to improve access to care, clinical decision support tools to enhance appropriateness of care, and artificial intelligence research focused on healthcare applications, so that technological advancements being made can be harnessed for the good of patients. 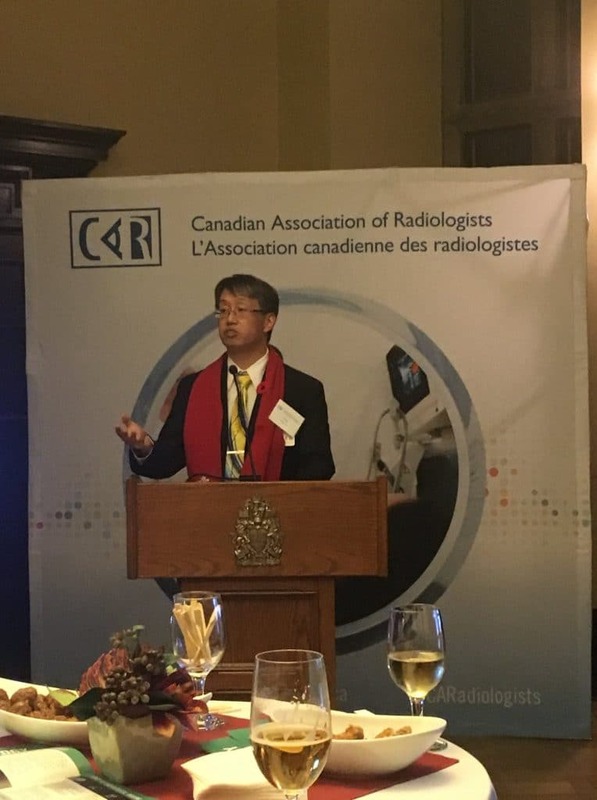 CAR members emphasized the value of radiology in the broader healthcare system and shared their stories of working with patients across their areas of subspecialization. 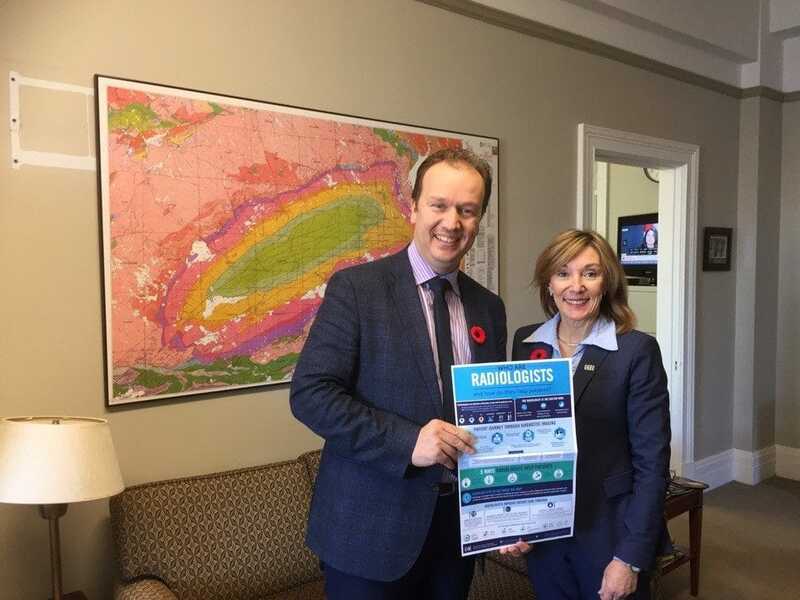 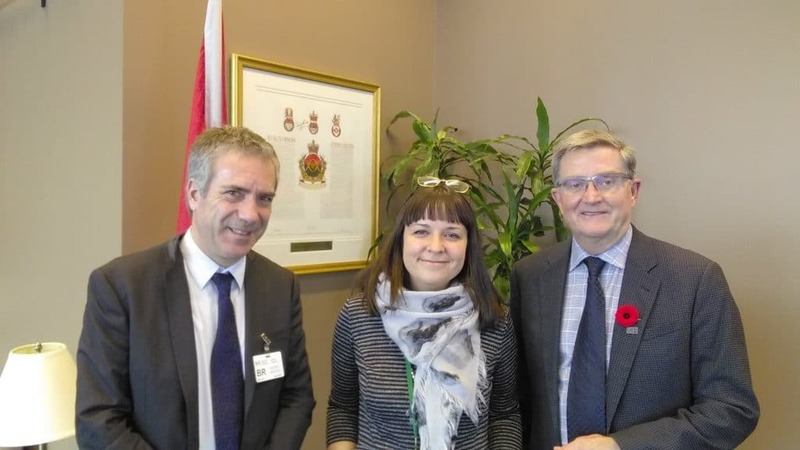 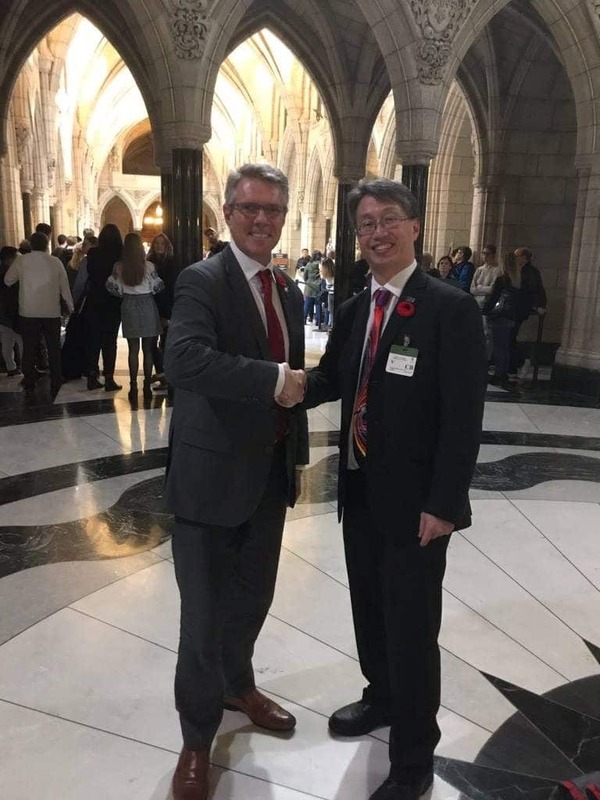 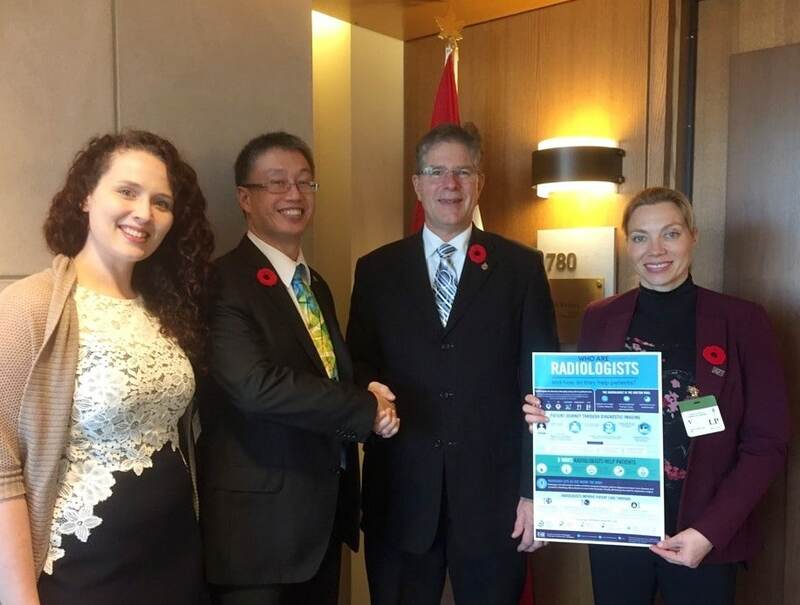 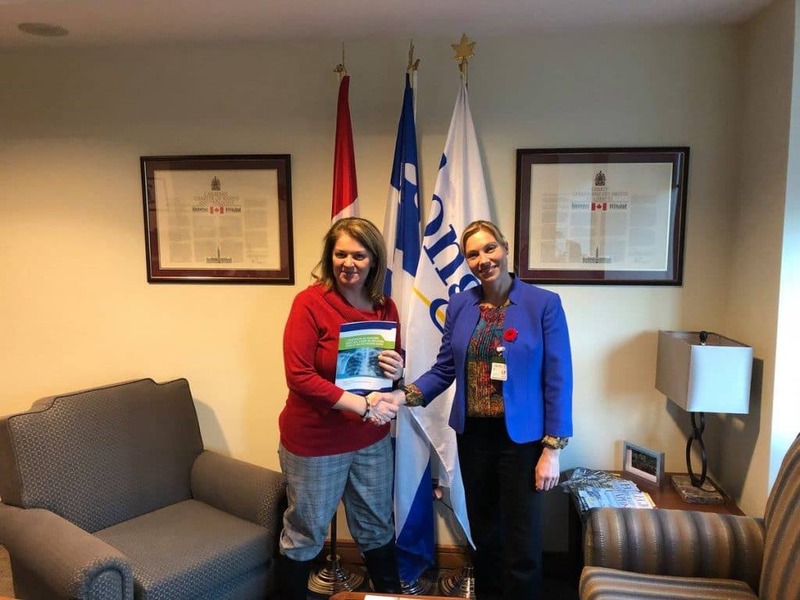 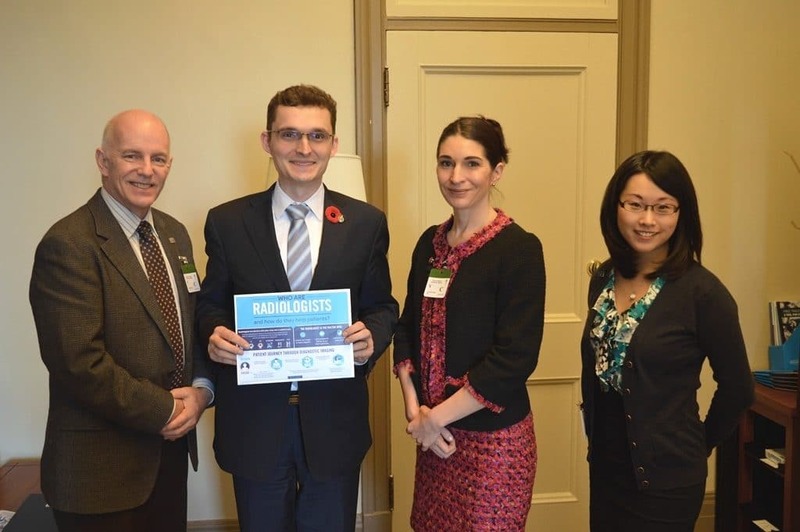 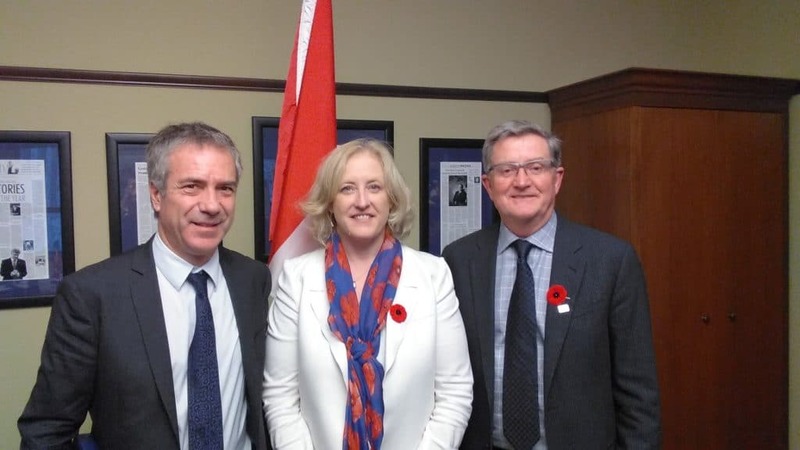 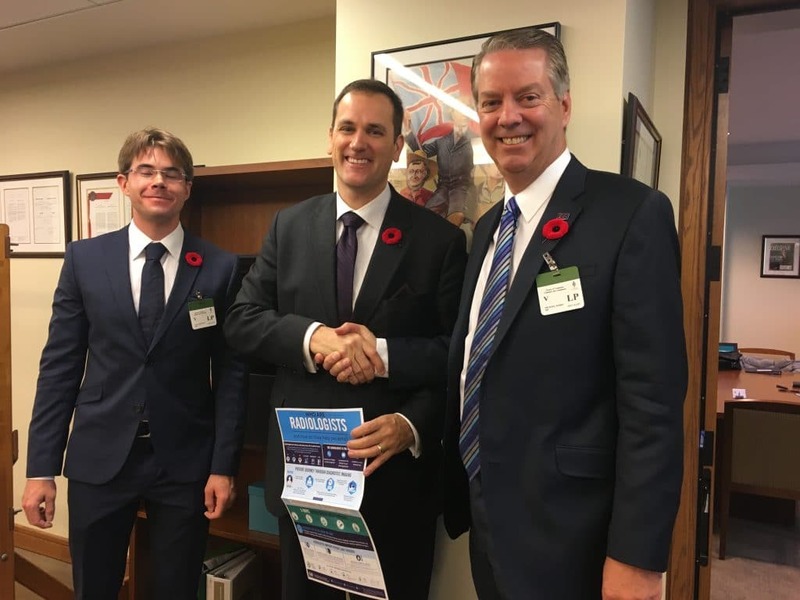 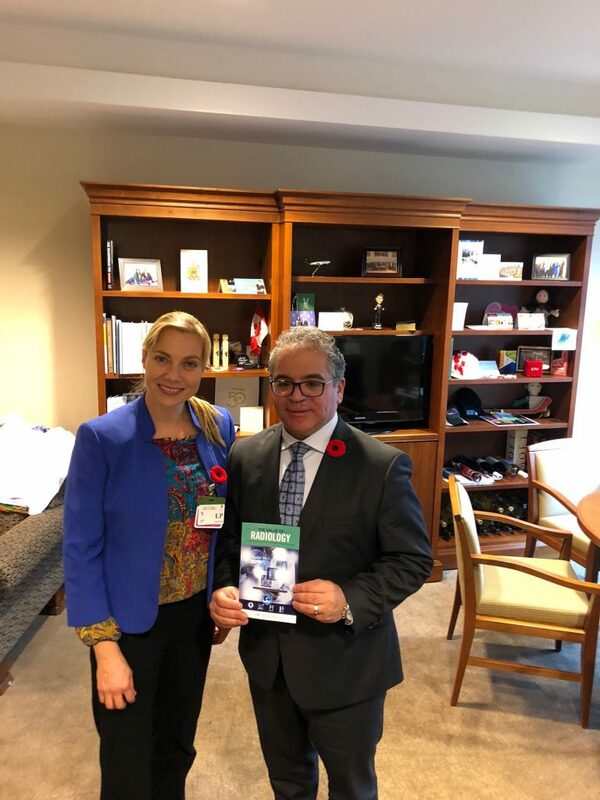 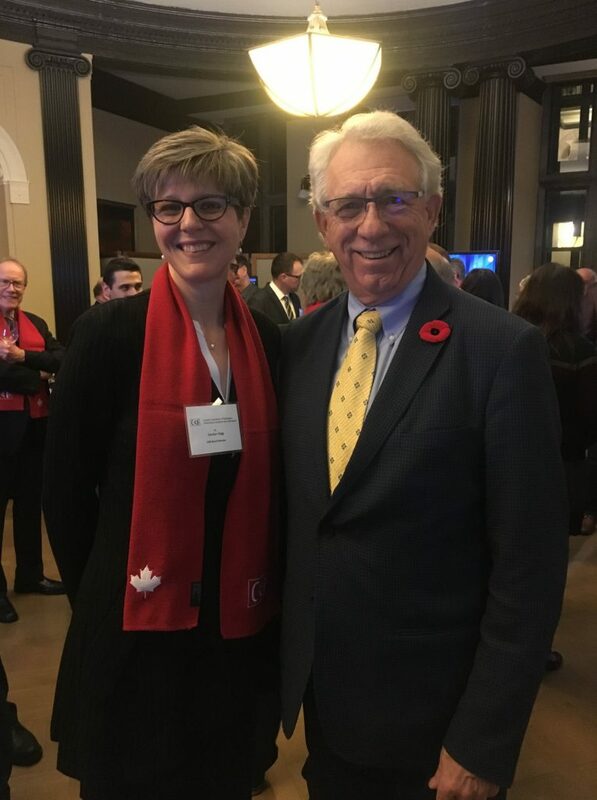 The crucial work of radiologists is not always well-understood by the general public, and the events presented an opportunity to raise awareness about radiology itself, and to build bridges with Parliamentarians who are now better equipped to consider the perspective of radiologists when making decisions that affect the health of Canadians across the country.